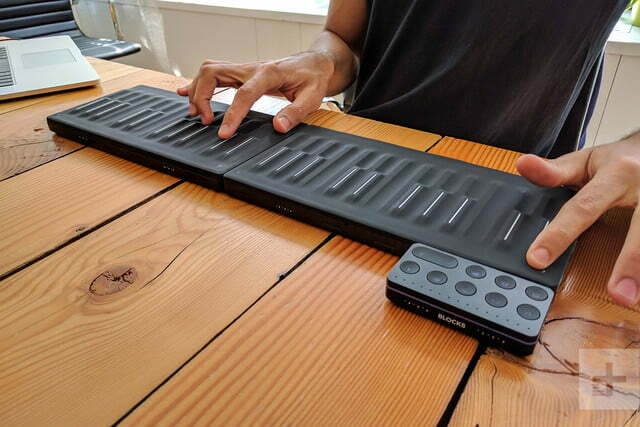 Roli, the London firm best known for its iOS apps and portable MIDI controllers, went all-in with its Seaboard series three years ago. The soft-touch music keyboards, which swap out tactile piano keys with continuous-touch, silicon “keywaves,” are among the most customizable musical instruments on the market. But they aren’t exactly affordable synthesizers around — the cheapest model, the Seaboard Rise, starts at $800 (the Seaboard Grand is $3,000). Later this month, though, that’ll change with the introduction of the Seaboard Block. 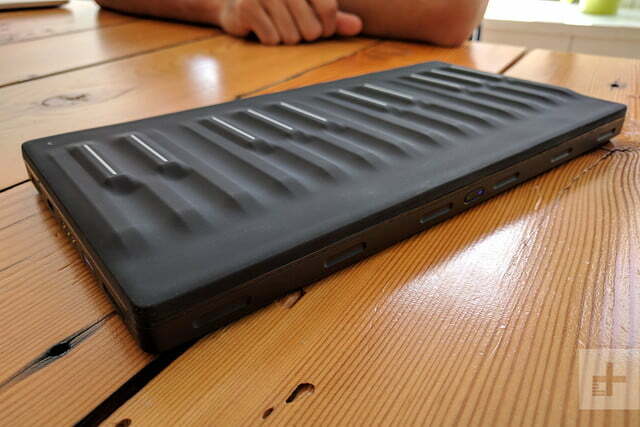 The Seaboard Block, which Roli announced on Thursday, is the smallest, lightest, and most compact Seaboard yet. It’s also the first to be compatible with Roli’s modular Blocks system and, at $300, it’s also the most accessible synth from the company yet. 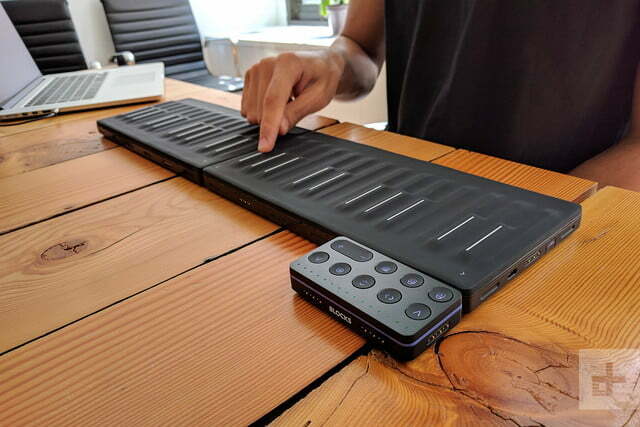 We had a chance to play with the Seaboard Block ahead of Thursday’s announcement, and discovered an experience that’s impressively close to the Rise and Grand. The Block is made from the same material (albeit a bit thinner), and features 24 raised keys which can distinguish between taps and touches of varying force. For example, you can mimic instrument vibrato, such as the warbling of a violin as the player’s finger moves rapidly on the string, by creating a similar movement on the keys. As mentioned, the Seaboard Block is highly customizable, too. You can adjust the key sensitivity via a PC or an iOS app, and assign configurable filters to touchpads set into the keyboard’s top and bottom edges. By default, swiping across the bottom modulates the pitch. In fact, the entire device is essentially a touchpad. The Seaboard Block works well as a standalone MIDI controller. Paired to a PC or MAC, it feeds your taps and touches via a low-latency Bluetooth connection to Roli’s proprietary Equator Player, which ships with over 100 sounds (from percussion to strings), six sound packs (including Vintage Electronic and Cinematica), and it’s easy to add to digital audio workstations, working equally well in environments like Cubase and FL Studio, as well as Abelton Live, Logic Pro, and Omnisphere. 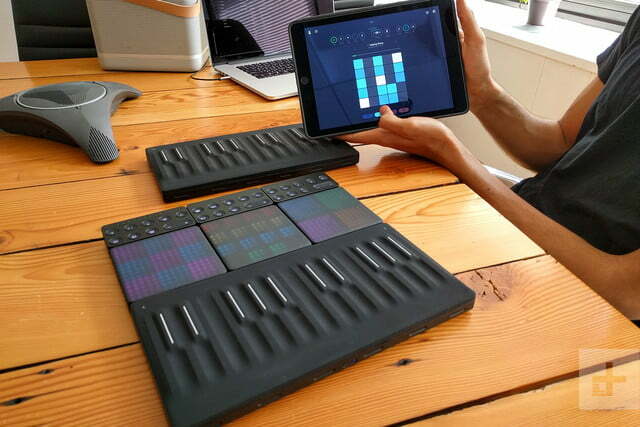 On mobile devices like the iPhone and iPad, the Seaboard Block pairs with Roli’s Noise app, which packs loops, instruments, and other music creation tools. After you’ve created a recording, a social component lets you publish your works to Noise.FM, Roli’s social network for music producers, where you can also download and remix compositions and collaborate on songs with other users. Perhaps the best thing about the Seaboard Block is its aforementioned compatibility with Roli’s Blocks, a puzzle-like system of modular MIDI controllers that snap together. 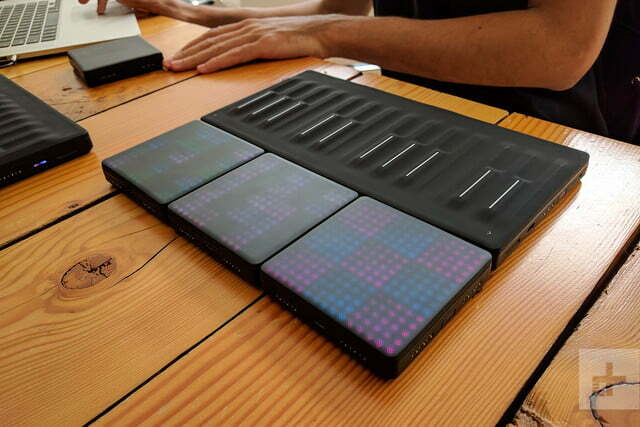 Roli’s Blocks include the Live Block, which lets you switch scales and octaves, trigger chords, and sustain notes on the fly; the Loop Block, which features playback controls that help record a loop and play it back; and the Lightpad Block, a pressure-responsive, illuminated grid that lets you manipulate sound with taps, glides, and other gestures. The Seaboard Block hooks to Block modules on any side, or even additional Seaboard Blocks. As the name implies, the Seaboard Block really starts to make sense when you pair it with other Blocks. 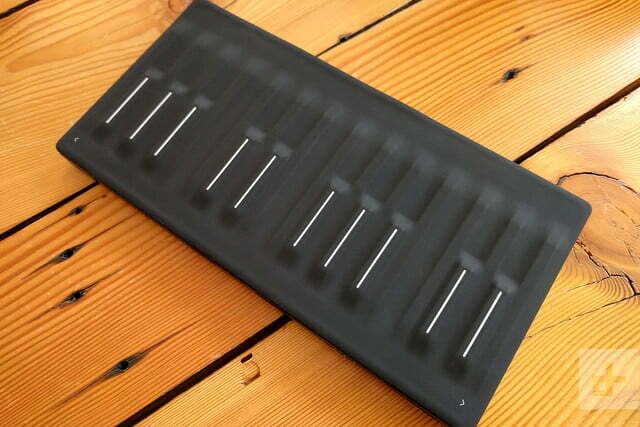 Roli is also introducing a new Block alongside the new Seaboard called the Touch Block. It’s the same size as the Live Block and Loop Block, designed to offer “expressive” controls for the Lightpad and Seaboard’s touch-sensitive surfaces, like one that adjusts how side-to-side finger movements bend pitch on the surface of the Seaboard Block. Attach the Seaboard Block to the Live Block, for example, and you get illuminated playback controls, a dedicated “record” button, volume controls, and a multicolor progress bar that shows the progress of the loop or song that’s being played. Pair it to the Lightpad Block, and you get a sample queue, a visual metronome, and programmable instruments designated by color. 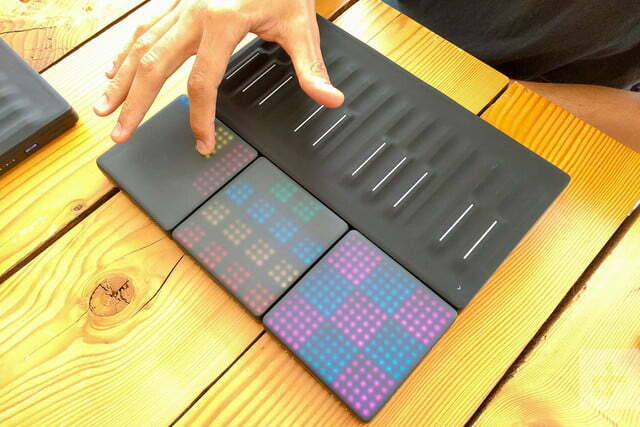 You can assign any one of the Noise app’s 128 virtual sounds and instruments to individual squares on the Lightpad, multiple columns, or the entirety of the controller’s light-up surface. The only downside there is the potential expense. The Lightpad Block retails for $180, and Roli’s other Blocks — including the Live Block, Loop Block, and the Touch Block — start at $80. It doesn’t take long before the costs add up. 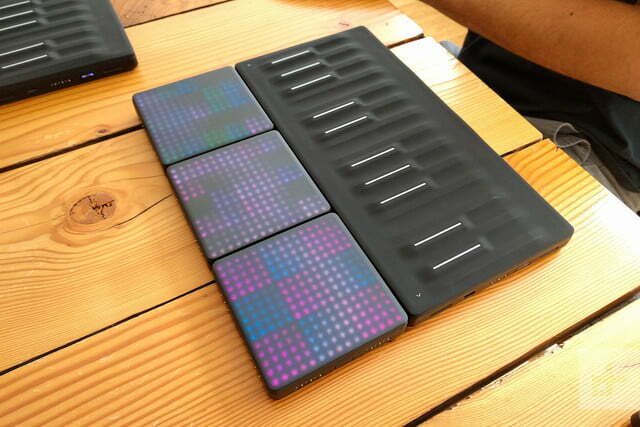 But Roli argues that with Blocks, you get more bang for your buck than most MIDI systems — and that’s a fair point. You only need a Lightpad Block or Seaboard Block to get started, and the other Blocks are optional — Roli’s Noise app lets you tweak every part of the experience. In comparison, Abelton’s popular Push 2 will run you around double the price, at $800 with the software. 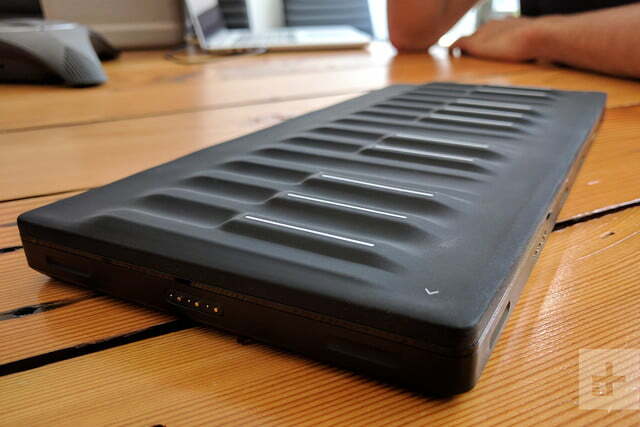 Roli believes that the Seaboard Block will appeal to another demographic outside the studio world, as well: Music creators who want an affordable, lightweight controller they can fit in a backpack. The Seaboard Block is available for pre-order through the Roli store and retail partners including Sweetwater, GuitarCenter, and Amazon. It begins shipping in late June.